Right out of the '70s, Can drummer Jaki Liebezeit formed a new band, Phantom Band, obviously to carry on where a creativity-depleted Can had left. Yes, the group's eponymous debut, released in 1980, has the "Krautrock goes worldbeat in the cold wave" feel found on Can's last two or three records. Phantom Band would make three albums, and this first one is the weakest of them, mostly due to the presence of bassist/singer Rosko Gee. Once a member of Traffic, Gee contributes the blandest pop songs on the album, and his slightly androgynous vocals simply don't fit the dub-ish mood of the music -- however, his bass work does. For this project, Liebezeit recruited (in Cologne) percussionist Olek Gelba, keyboardist Helmut Zerlett, and guitarist Dominik von Senger. Can alumnus Holger Czukay makes an appearance on horn. The drums take center stage; it is obvious that each song has been assigned a carefully designed beat, and Liebezeit is exploring most of his interests in music here, from repetitive Krautrock pummeling to complex Afro-funk and reggae-dub patterns. The arrangements are dark but clear-cut. Liebezeit's songs are the most interesting, from the tense "No More Fooling" (although Gee's falsetto mars it) to the funky vamp of "Absolutely Straight." Zerlett also contributes strong compositions in the spacy "Pulsar" and "I'm the One," the most expansive song of the set at six minutes. The two songs penned by Gee, each opening an LP side, have forgettable melodies and mediocre lyrics (they are also the most dated tracks production-wise). 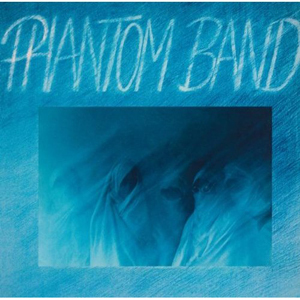 Despite Liebezeit's long and strong experience by 1980, Phantom Band bears all the signs of a debut album by a band that still hasn't gelled. Can fans who diss the group's final albums will definitely not like this one. In any case, skip forward to the group's second effort, Freedom of Speech, a much stronger proposition recorded after Gee's departure.